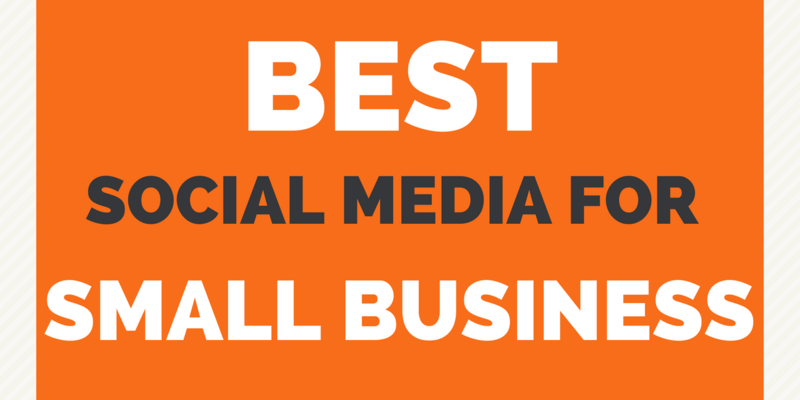 What information were you searching for related to ‘best social media for small business’? Are you looking for information comparing what social media platforms are best for small businesses (e.g. Facebook, Twitter, LinkedIn, Pinterest, Instagram, Snapchat)? The answer to this question depends a lot on what industry you are in and who you are wanting to reach with your marketing message. That answer isn’t very helpful, so the first thing you should do is to make a small list of 3 of your most successful competitors. Visit their websites and note down what social media platforms they use. Then visit each social platform. How many connections do they have on each platform? Rate how engaged people are with their content on a scale of 1 – 3. Allocate a score of 1 if they do not have any likes, favorites, shares or comments on their content in the last month. Allocate a score of 2 if they have a small amount of likes, favorites, shares or comments in the last month. Allocate a score of 3 if they consistently get likes, favorites, shares or comments on their content in the last month. Now that you’ve gathered some data, do you see any patterns? If you’re a B2B (business to business) business, you may find that all of your competitors have LinkedIn pages, but they have all score a 1 for engagement. If you’re a B2C (business to consumer) business, you may find that all of your have Facebook pages with a large number of page likes, but they still only score a 2 for engagement. These 2 trends tell you something important. It may be sensible for you to maintain a presence on these social media platforms to make sure your business looks good if a potential customer is comparing you to your competitors, but the low engagement scores tell you that even your best competitors struggle to keep their audience engaged. This is very common for LinkedIn business pages because it is usually larger businesses that get people checking LinkedIn pages. If you checked out the personal profiles of the Founder of these competitors, you might see that the content they post on their personal profiles gets more engagement than their LinkedIn company page. If you see that a Facebook page has lots of likes and a score of 2 for engagement, this is because in the past, your competitor spent a lot of marketing budget on Facebook ads to acquire those page likes. When paying for Facebook ads, the Facebook algorithm will be more likely to display content that’s been published after a person likes a page. If content is displayed and that person chooses not to like or engage with it, Facebook will show the person more of the types of content they are engaging with. This leaves your competitors with the situation of having a lot of likes on their page but very few likes on their content, unless they choose to pay for ads. If you have acquired likes on your page from your target audience, it is usually cheaper to buy Facebook ads targeted to your existing audience than to new connections. If you’re creating content you’re proud of, try this. At the end of each week, choose your favorite post or the one that got the most organic engagement. Then use a small Facebook ad budget to boost it to your existing audience. You may find that boosting a post with a budget as low as $3 can see you outperforming a competitor with a huge number of likes! Are you looking for the best social media tools for Small Business? If you are looking for the best social media tool for small business, you have come to the right place. We’ve tried and tested a number of social media tools, and we think there are 3 you should consider. We’ve used both Hootsuite and Buffer in the past to schedule content for our customers, but many of them found it frustrating to check their content. We now have our own social media dashboard that makes it really easy to schedule and edit social media posts across all of the major social media channels. Our free dashboard allows you to schedule as many posts as you want, including 4 image posts each month. If you need more image posts, our paid version even has an inbuilt image creator and other bonuses like a hashtag research tool. If scheduling to Instagram is important to you, this is our next recommendation. Hootsuite was the first major platform to allow users to directly schedule to Instagram when they opened up their API rules in 2018. Getting ahead of the competition, means they have had more time to iron out bugs. Unfortunately, you are limited to scheduling 30 posts at a time on the free version. If you read a lot of articles that you want to share on social media, this may be the best choice for you. You can add a Buffer extension to your browser that allows you to ‘buffer’ articles you read into your social media queue. The free plan only allows you to connect accounts from 3 social media platforms, and you can only schedule 10 posts at a time. Are you looking for the best social media agency for Small Business? Since 2009 we’ve been checking out marketing agencies selling social media services to small businesses in both the UK and the USA. We’ve noticed an alarming trend of marketing agencies charging enterprise prices to small business owners for social media marketing. There are 3 frustrating trends we see. The focus is on increasing followers / page likes without talking about the quality of those connections. Stay away from companies who only sell followers. They can get your account banned and usually add no value to your business. If you are looking for the best social media agency for your small business, please check out our social media marketing packages. Our most popular social media package for small business is our Daily Social Media Package. PreviousHow can we get more followers on a LinkedIn company page?